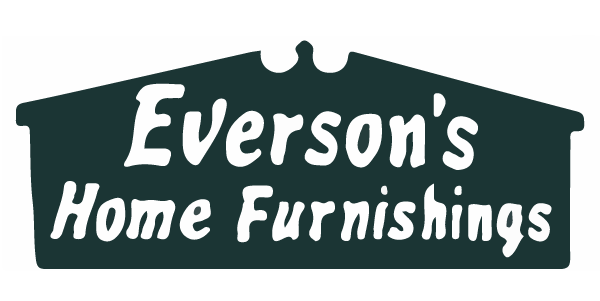 Everson's Home Furnishings - The Upper Peninsula's Local Furniture Store! Everson’s Home Furnishings is a family owned and operated business that was founded in 1976 by Jim and Kyle Everson. Originally opened as an upholstery business, it has evolved into a full service furniture business with two store locations in the Upper Peninsula; one in St. Ignace and the other in Newberry. We understand how important it is to make the right decisions when it comes to selecting furniture, flooring, and window treatments. Our experienced and educated staff is dedicated to helping you create a living space that fits your style, needs, and budget. Everson’s is a full service furniture business offering Home Delivery, Set-Up, and Disposal to most locations in the Eastern Upper Peninsula and Upper Lower Peninsula. We also provide in-store interest free financing as a payment option. Everson’s Home Furnishings has served the Upper Peninsula for over 40yrs. We are far from a chain or big-box store; we are part of your community and want you to feel welcome in our stores. Being an independent family owned business, we have the advantage of choosing from thousands of companies to find the best value in the furniture industry. Our goal is to provide customers with honest service, great values, and top quality home furnishings. Relax, come on in, and see why we are different. Scroll through the brands we carry below. Click on the brand to view their company website.